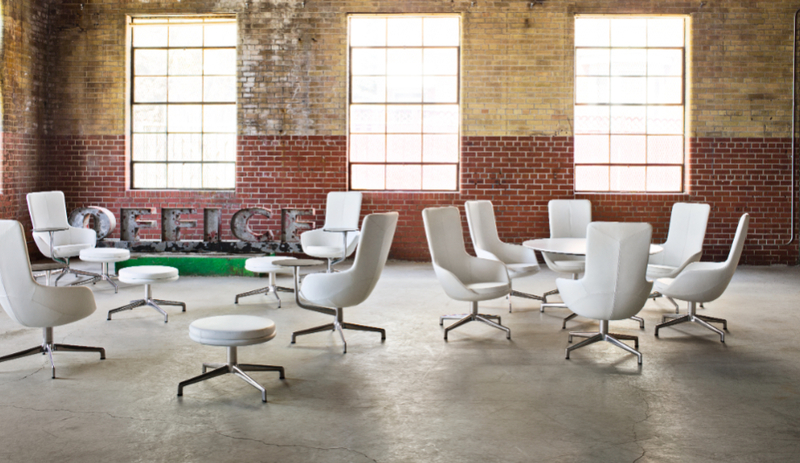 From task chairs to executive seating, such furniture manufacturers as Keilhauer, Vitra and Andreu World, put their best seats forward at Chicago’s massive contract fair, running June 9 to 11. New to the American market, Alberto Meda’s task chair for Vitra has a continuous seat shell formed by stretched fabric in green, blue or neutral shades. Besides a flexible frame construction, Physix features an elastic knit cover and a stabilizing mechanism. Choices of black or soft grey are available for the frame and base (latter also available in polished aluminum). 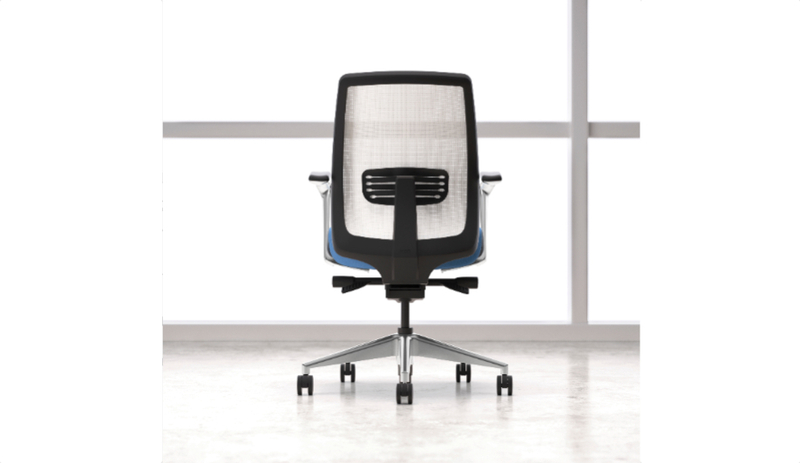 These task chairs are completely adjustable down to their optional headrests and lumbar supports. 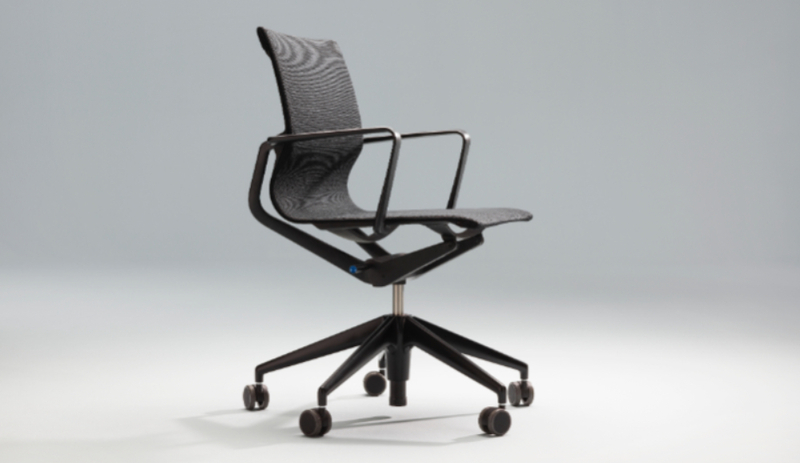 Sabrina incorporates a ring-shaped backrest for fit and flex comfort; the inner ring provides support and backwards bending in the body’s natural position, while the outer frame gently twists to either side for extra flexing. 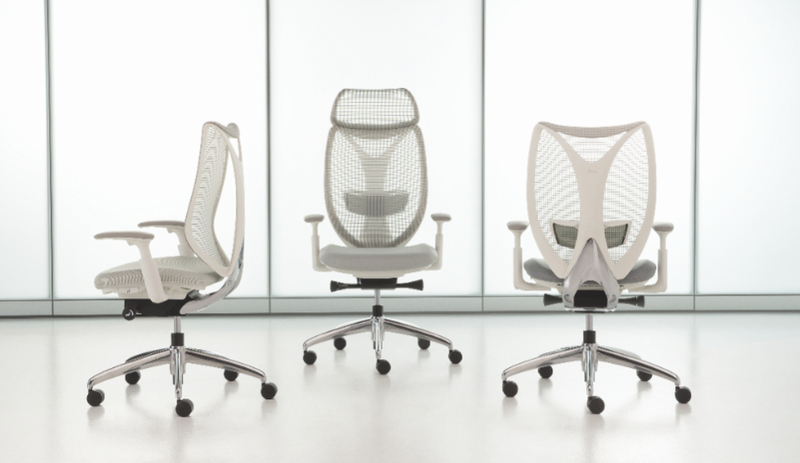 Its mesh seat comes in four colours: basalt, chain link, phosphorous and iron. 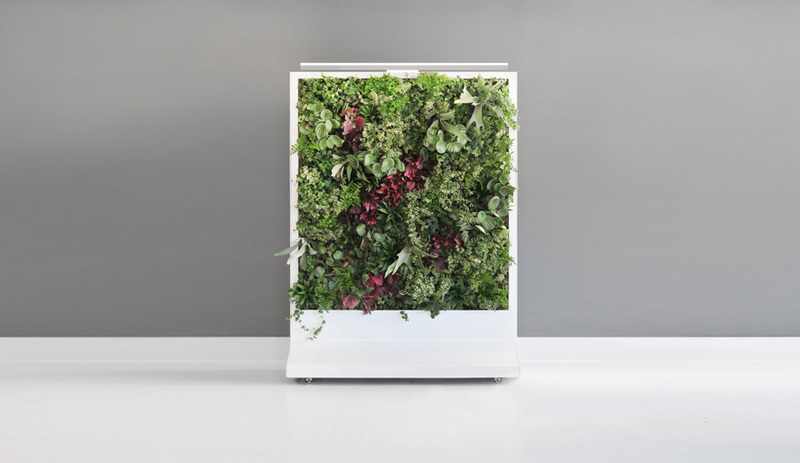 An optional hanger stores coats and personal effects. This line of executive and conference seating, which comes in fully upholstered veneer-backed versions, is elegant and slender. The seat is height-adjustable via a lever, and its standard plastic arm caps also come in leather. Arper has reintroduced the shapely Duna, with a form inspired by flower petals, in a new polypropylene shell for a thinner, sleeker profile. 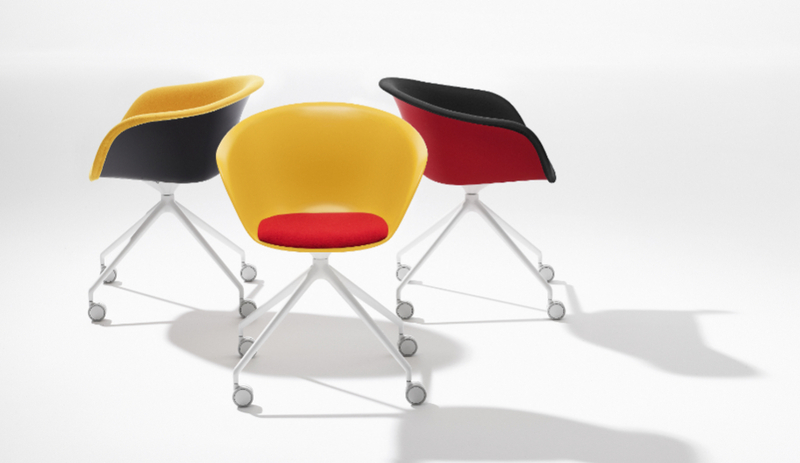 It also comes fully upholstered with an accessorizing seat cushion and in fixed-base versions. Andreu World’s upholstered Flex chair is available in two options: the High-Back, composed of thermo-polymer (and available in a range of bases), and the Corporate, with a wider seat and higher backrest in thicker foam. Part of Hon’s Endorse collection, which also includes lounge seating and occasional tables, this seat has an optional headrest and features a four-inch adjustable lumbar support on both mesh and upholstered backs. 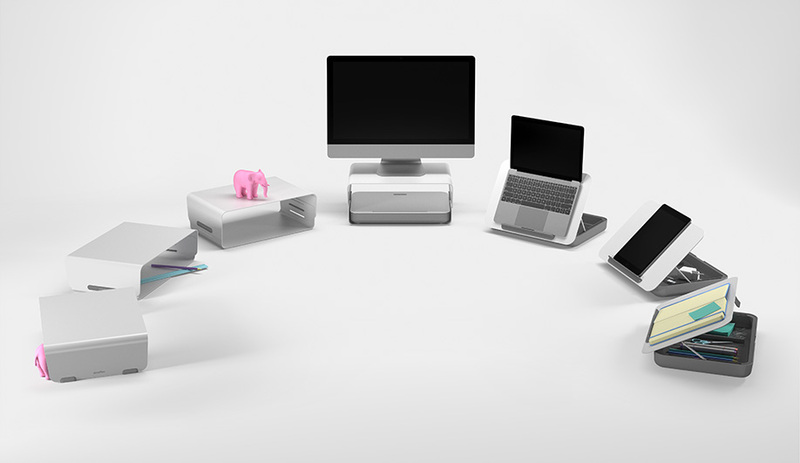 It can support users up to 450 pounds. A detailed stitching pattern, beveled chrome edging and refined mechanism controls define Allseating’s Requisite conference room seating. 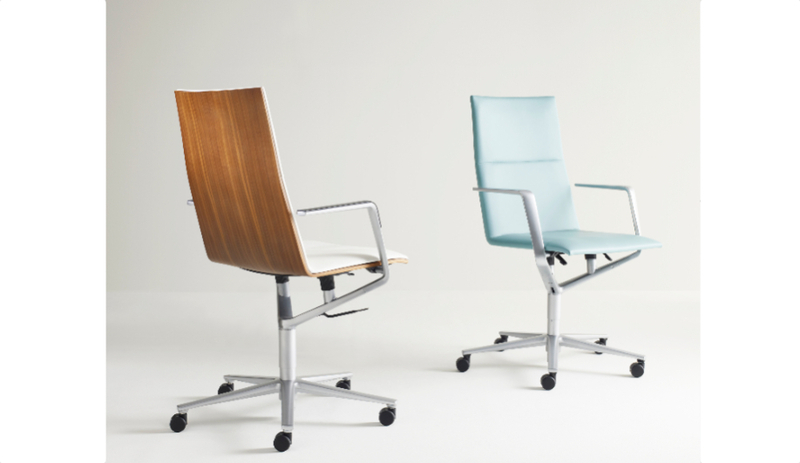 Three arm styles – including an optional leather wrap – can be combined with the mid- or high-backed chairs. Metal pins, rather than fasteners, are used to hold the pieces together lending a seamless aesthetic. 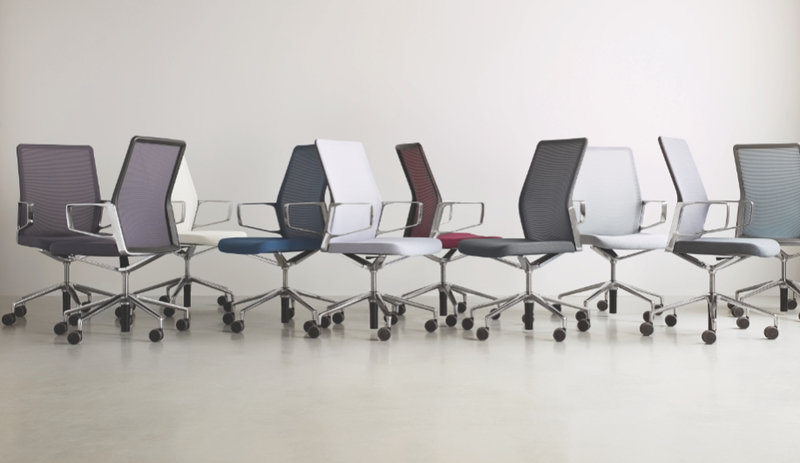 Austrian firm EOOS collaborated with Keilhauer (a 15-year partnership and counting) for this flexible chair suited to private work spaces or large, executive conference rooms. 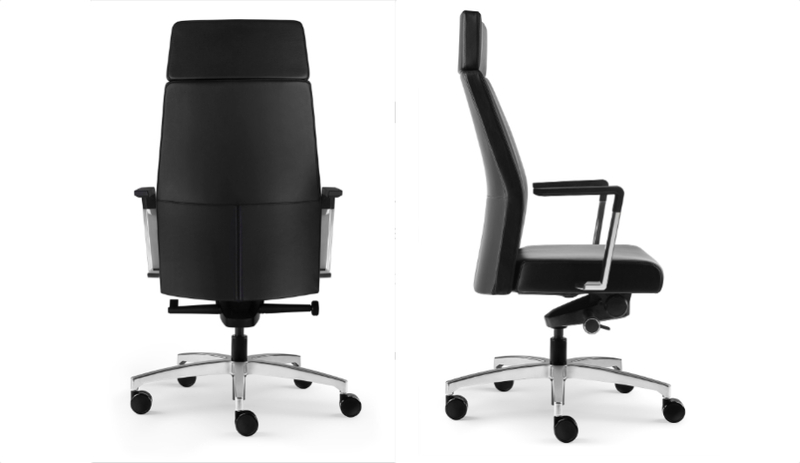 Its patented Invisi-synchro features small springs which coordinate the sliding motion of the seat with the back to enhance user comfortability. 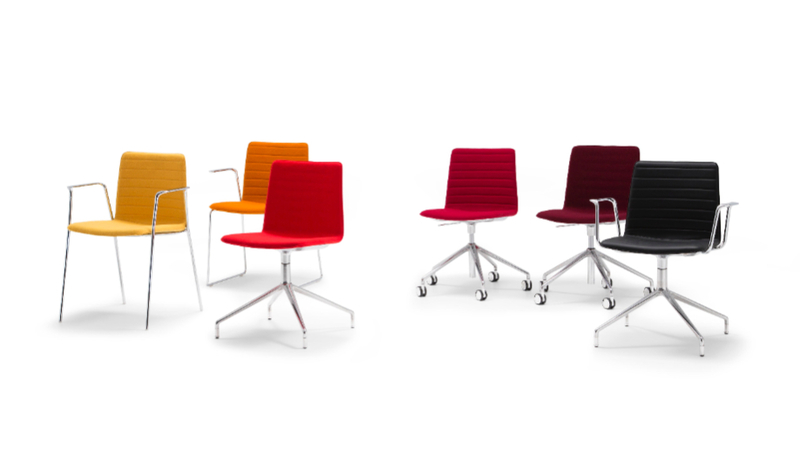 Two styles are available: a mesh back (in 20 colours) with upholstered seat, and a fully-upholstered seat and backrest.